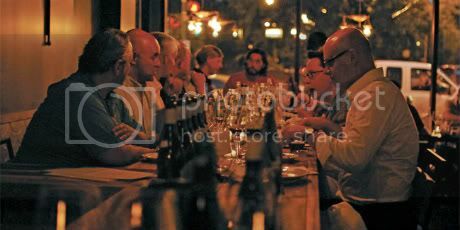 Diners enjoying a meal at a communal table at Telegraph. Photo via michiganavemag.com. If you're looking to close out the year with good friends or family, check out Michigan Avenue's Top 10 list of Best Communal-Table Dining Spots in the city. It includes the usual suspects, plus 2011 newcomers Grange Hall Burger Bar in the West Loop and hot Logan Square wine bar Telegraph.